FPV HUB FPV HUB How to overcome FEAR or crashing?? How to overcome FEAR or crashing?? 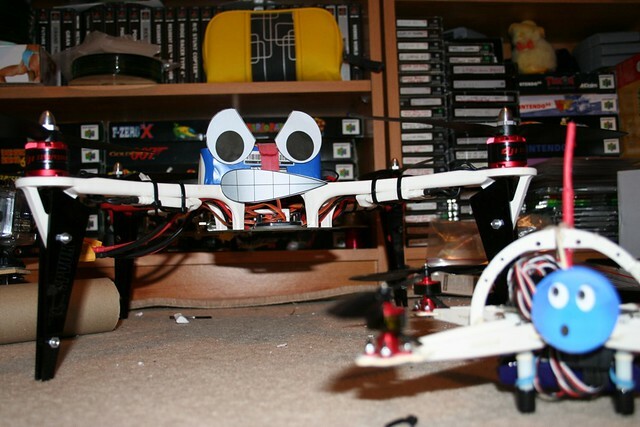 It is taking me a very long time to learn to fly my quad (Martian3 220mm 5"). I practice on Velocidrone for about 1hr a day and have been since November. I only want to fly round things and do a few flips, rolls, split S etc. When I go out flying I am getting better but I think fear of crashing and destroying my quad is holding me back. I have flown my Mobula7 outdoors and I was fine crashing that as it just bounces on grass but it's not good in a breeze! I am going to stop flying my 5" when the new regs come in in Nov and just fly sub 250 gms. With that in mind I was going to get a GepRC Cygnet 3" which has a RunCam Split v2 on for HD recording. I am worried that I will destroy that so I thought maybe a 2" or 2.5" strong quad might be the answer. Looking around I found Diatone 2019 R239 (Prop guards built in), R249 2" or R239+ 2.5" about £85 to £100. They all use the same components and the frames seem strong and light weight. So do you think my idea of a light weight strong quad will help me overcome my fear of crashing and allow me to progress or do you have any other ideas? Re: How to overcome FEAR or crashing?? Good luck with it. I still get anxious and I've been here since 2011. Interesting. I have generally found that the fear of losing my models completely was much worse than the fear of breaking something. I've crashed a lot, and have found it impossible to destroy an entire quad. I've certainly broken flight controllers, HD cameras and motors, but over quite a period of time and one little bit at once... making it easier to sort out. To get over my own fear, I just made sure I would be able to find any downed quad again - so I started looking at lots of different beepers that didn't require a lipo. This free'd up my mind - so to speak - and I was no longer worried about flying in dodgier conditions where recovering a quad would be really hard in a battery disconnect. It always helps to have a backup quad as well - always having something to fly even if to wreck your main quad gives you a psychological edge. Velocidrone is cool for learning stuff, but it's still gamification - there's no consequences to crashing so what you can easily do in game won't always easily translate into real-world. I think I am just going to use my 5" Martian3 as a learning quad as it only has to last till Nov then I go sub 250gms. Plans for Cygnet or Diatone put on hold as person who bought my F450 on ebay crashed it and want's refund!!!!!! Thanks for the tips on lost model alarms definitely something to look at. I will rewatch your vids, thanks.